New Zealand Breaking News, Breaking My Heart, Breaking Every Muslim In The World | Assalammualaikum, Its a sad news when we heard about the crazy guy who gunshot our Muslim brothers and sisters in New Zealand recently. It is a big shock to New Zealand the country known for being so peaceful and even my husband having attention to migrate there..arghhh wishing but we are not dare enough to leave our beloved Malaysia! Got the text from whatsapp group that really touch me, even reading twitter thread from Khaled Beydoun really touch deep inside me but I tried to stop from dropping my tears..why? because how can I let people see me crying in the train! Don't know who is Aunty Salmah Kassim, but perhaps she is my school mate relative who lives in NZ who wrote this yesterday and here I share the sadness there and here inside me and trust sadness within all Muslim around the world and others too! Nevertheless, the support was overwhelming! First, beginning from me crossing the road to get into my car, passing cars stopped from both sides to allow me to cross with such honour. Some drivers waved at me and some placed their hand on their heart. I was in a black abaya with black hijab. I have never felt this proud to walk in my hijab as I have felt today. That was my first tears. Then, when my daughter Shafiqah Ilyana, her friends (Akil and Hakimah) and I arrived at the Memorial Park Cemetery, we were welcomed by Kiwi women volunteers in hijab, and the men with their hand on the heart with "Salam alaykum." Even female police officers were wearing hijab instead of their police hats. almost all female visitors came in hijab...all wearing hijab! I truly hope this sight will encourage more Muslim women to wear hijab because that is the requirement by Allah. If the Kiwis could understand wearing hijab reflect who we are as Muslims, this is the best time to put on your hijab for good. In shaa Allah. I sincerely make Du'a for all my sisters in New Zealand, Malaysia and wherever you are to not shy to wear the hijab. In shaa Allah. Next, it was another heartbreaking moment to see one body after another being laid to rest. School girls and boys came with their moms, dads and some with teachers to pay their last respect to the fallen classmates. Some young students came in abayas and hijab (where did they get all the abayas and hijab??) Those with school uniforms also put on hijab as a sign of respect. It was a very touching and meaningful sight. Indeed it was a hijab day! It was a painful sight to see parents having to bury their children because it is only natural to me if it is otherwise. Haziq's father (on wheelchair) who has just been discharged this morning from the hospital was seen escorting Haziq sadly to his final rest. Puan Marina was no where in sight at the cemetery today. But she had asked us friends to be there for her Haziq. 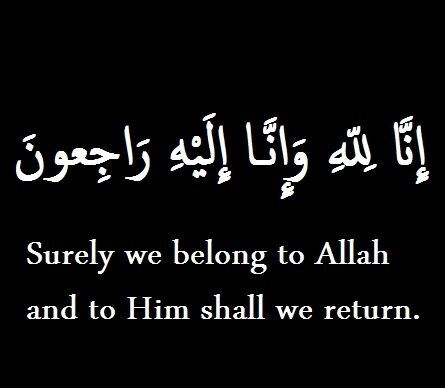 Yesterday evening, Puan Marina, Haziq's mother whom I met for the very first time was also very calm although she told me Haziq was still missing. Alhamdulillah, though it must very painful for Puan Marina, at least she knows her loving Haziq is in the hand of Allah, heading towards jannah and would be waiting for her at the door of jannah. Another strong mother, Sayyad Milne's mom, Kak Norani was calm, smiling away and telling people she is strong because of the tremendous support she is receiving. Alhamdulillah, Allah gave us this precious chance to be part of the martyrs' lives. Most of the victims' families that I have spoken to had such amazing Iman and Taqwa. Added by the massive vigils held all over New Zealand, they felt that this is the best victory that they gained over this tragedy. In Dunedin itself, 18000 people turned up to show their support. Allahuakbar! Allahuakbar! Allahuakbar! Tomorrow at 1.25pm, there will be a special speech by the Prime Minister, the lovely Jacinda Arden at Hagley Park, just outside the mosque. 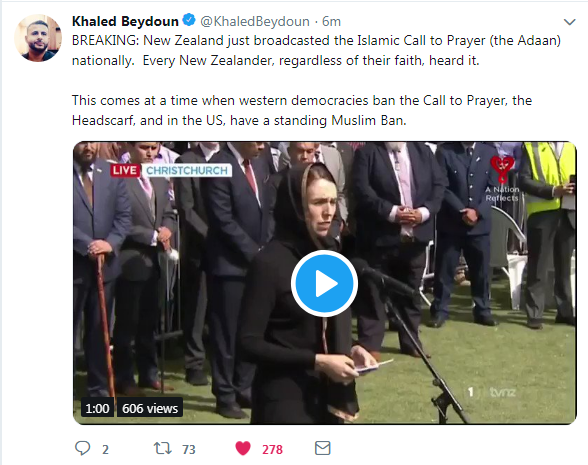 Then, there will be azan for Friday prayer which will be broadcasted on radio and TV in whole of New Zealand and I believe it will be broadcasted around the world too. Muslims (men and women) will perform solat outside Al Noor mosque, heavily guarded by police and human walls. The Kiwis would be guarding us while we pray, in shaa Allah. Who would ever thought this could happen? This is Allah's plan...we just have to husnudzon billah towards Allah The Almighty.. In shaa Allah at 4.00pm, there will be a mass burial at the Memorial Park Cemetery. Honestly, I don't know how I would feel ...I just don't know. But still, I would like to share the aroha around us and sending them to all of you in Malaysia and all my friends and families where ever you are..
semoga pembunuh dapat pembalasan yang setimpal..
allahuakhbar.. mmang ujian dan dugaan jiwa buat kita semua. semoga Allah lindung kita semua dimana saja kita berada. 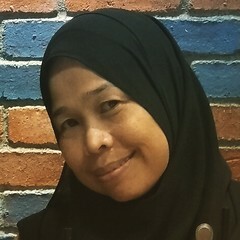 insyallah.. insan2 terpilih semuanya ni..
Tak boleh dibayangkan betapa sebak hati dan naluri ahli keluarga kan..semoga mereka semua tabah menjalani kehidupan seharian dan terus bersabar dengan ketentuan dariNya..
yes..its very sad for all Muslim around the world..
Allahu sedih sangat, Mrs. A sempat jugak tengok live video time dia menembak tu memang macam main PUBG gayanya huwaaawawawawwaa. Allah maha adil pasti ada hikmah disebaliknya. Innalilhiwainnalilaihirojiun.... semoga roh mereka ditempatkan dikalangan org yang syahid. sesuatu yang mengejutkan dunia. Sedih dan menyayat hati.. takziah buat semua keluarga mangsa..